Photographers Ayman Oghanna and Moises Saman worked together on a photo essay at how businesses were re-opening in Baghdad, Iraq in 2010 as the gulf war was coming to an end. From neighborhood grocery stores and movie theaters to high-end car dealerships. 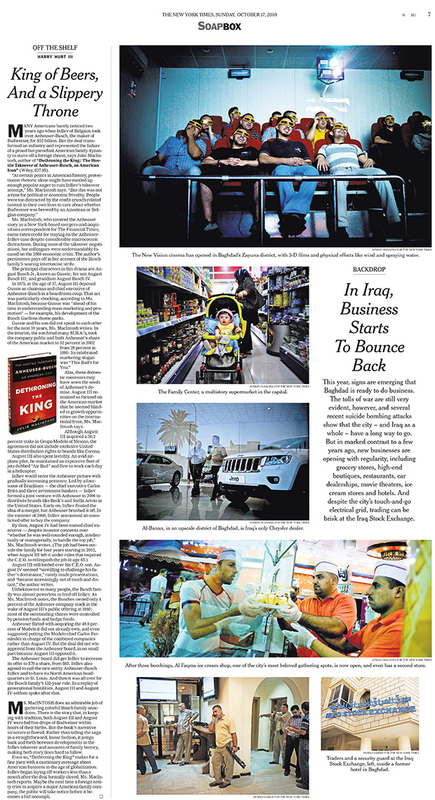 It appeared as the monthly "Back Drop" photo essay column in the Sunday New York Times Business section. Story ideas were welcomed by photographers that chose to look at the business and finance angles of their subject.